Competition Law: What's in it for you? 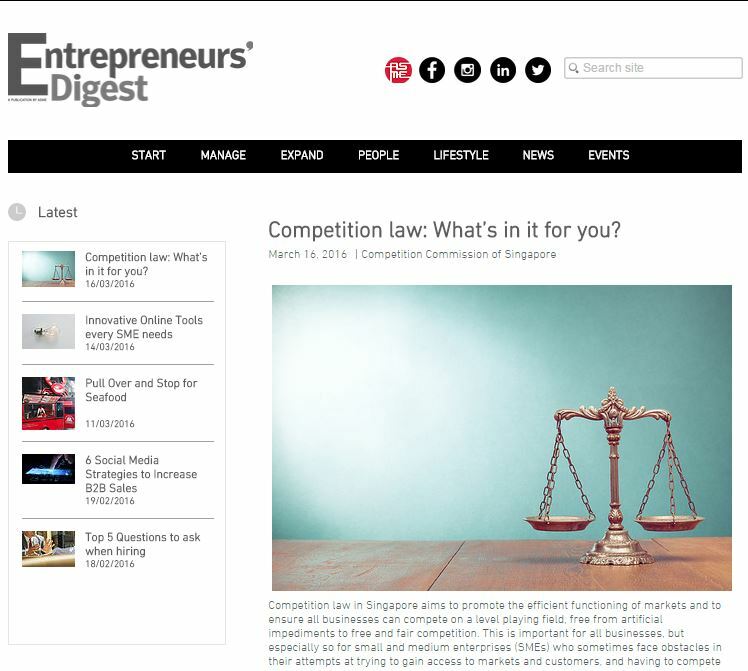 Featured in the March 2016 issue of ASME's Entrepreneurs' Digest: Understanding competition law is essential for SMEs to expand within and outside of Singapore. SMEs can remain viable in an increasingly competitive economy by leveraging on e-commerce platforms.